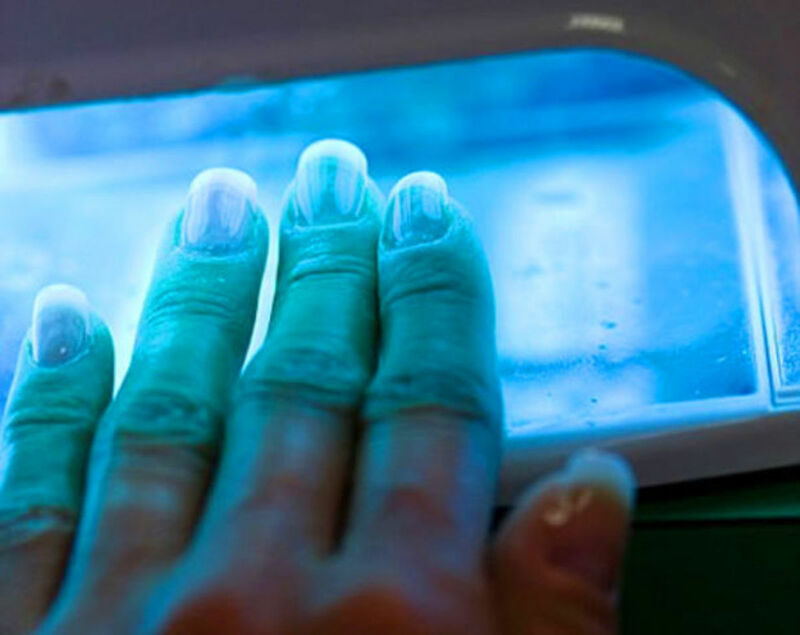 Do you need to worry about UV nail dryers and cancer? Two studies refute the often-quoted 2009 study about two women who developed tumors on their hands. Plus, understanding UV-cured and LED-cured gel manicures. UV-cured manicures and pedicures absolutely can increase the uv exposure on your hands and feet. But you can render that exposure pretty much harmless by wearing sunscreen. 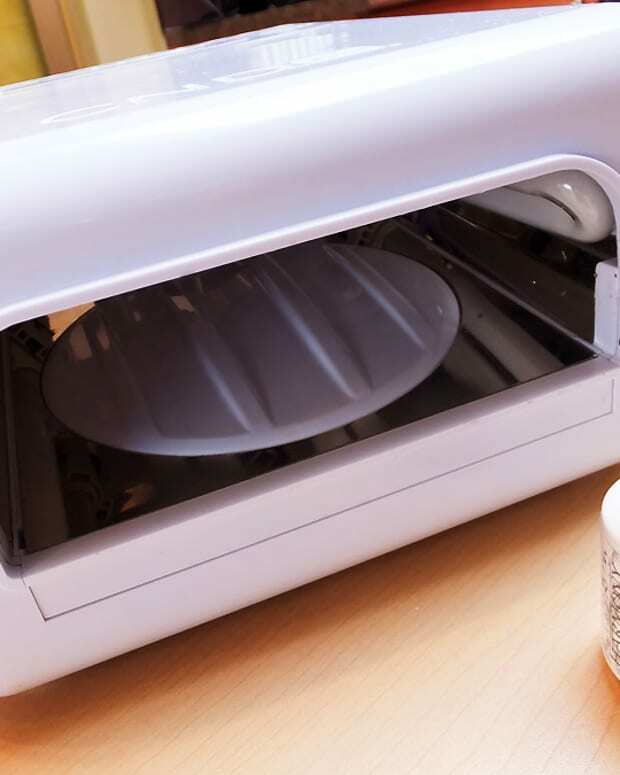 And you can reduce the amount of time you need in a UV lamp by using an LED-sensitive UV gel or hybrid with an LED unit. Gel or hybrid formulas with LED-sensitive ingredients will cure faster in LED UV lamps than in standard, salon UV compact fluorescent-bulb boxes -- 30 seconds vs two minutes. Plus, you can rest easy that standard UV lamps and LED units emit a fraction of the UV you get from sitting outside at lunch time without sunscreen. If a 2009 study that suggested UV nail lamps increase the risk of skin cancer on hands has you worried, this might make you feel better. A report by three industry experts claims those results are way flawed. 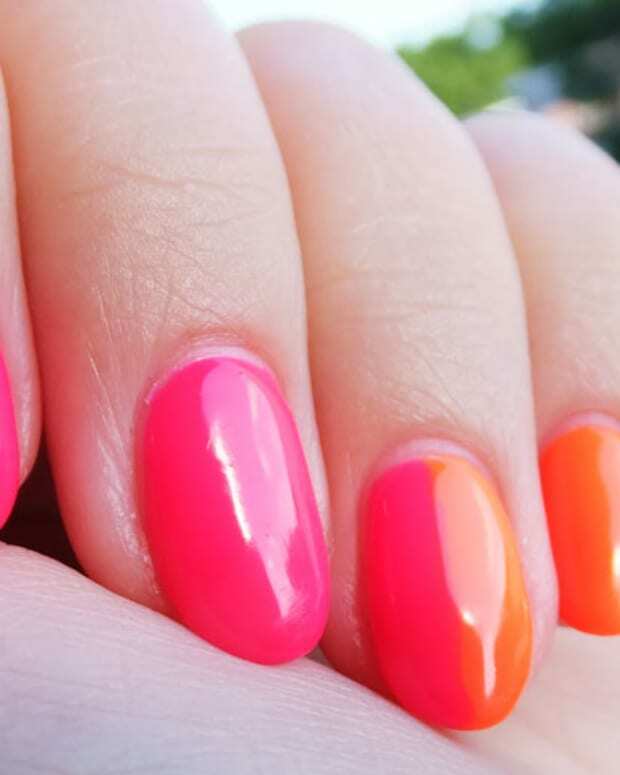 The rebuttal paper is actually a pretty easy read, but to sum up, an independent lab study funded by nail-industry experts revealed that UV nail-lamp bulbs filter out most of the UVB: 10 UV-lamp minutes every two weeks = 26 real-life UVB-exposure seconds. That&apos;s why your hands won&apos;t burn or tan at each salon visit. The UV in UV lamps is pretty much all UVA, the "aging" UV rays. That makes this scary: 10 UV-lamp minutes every two weeks = about 37.8 real life UVA-exposure minutes. That&apos;s more than half an hour of extra unprotected UVA exposure every two weeks; it boils down to 2.7 minutes of UVA exposure per day. Yes, you could use your calculator to figure out how much extra sun exposure that could mean from now to your last UV-cured mani ever. If the answer alarms you, take comfort in knowing you&apos;re not getting anywhere near the same amount of damage you would if you were spending your mani or pedi time in a tanning bed, which blasts skin with much, much more UV (#giantmicrowave). Cut UV-lamp exposure time down by switching to a nail colour formula -- Artistic Colour Gloss, Entity, Gelish, OPI GelColor -- that cures faster in LED lamps. And apply broad-spectrum UV protection before your mani or pedi. "Although some sources of UVA and UVB contribute to the development of KCs [keratinocyte carcinomas], UV nail lamps do not appear to significantly increase the lifetime risk of KC. Dermatologists and primary-care physicians may reassure patients regarding the safety of these devices." UPDATE MARCH 2013: Here, another sensible voice in all the UV mani = cancer fear-mongering: Allure.com. 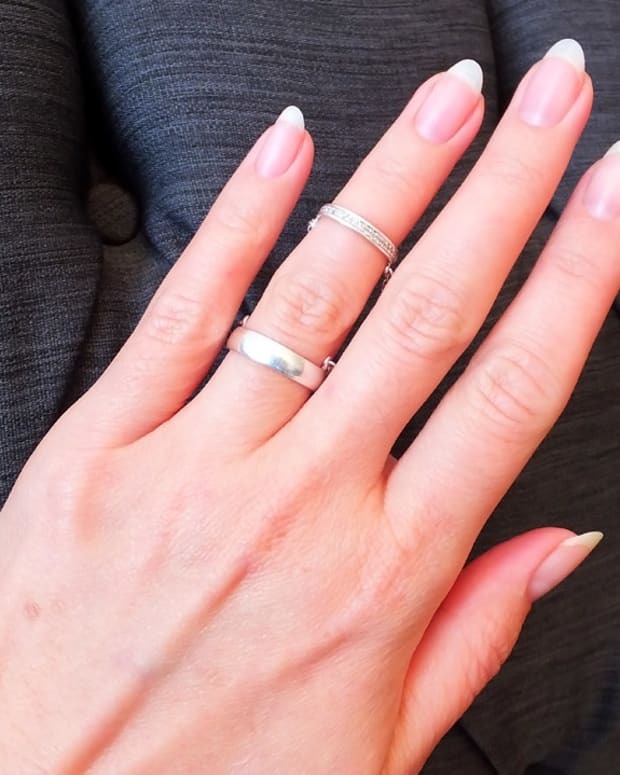 Do you get UV-cured manis? Do you worry about the UV-lamp exposure? Does shorter curing time make you want to try an LED-cured formula/LED UV lamp combo instead?